Accent Chairs can add much need seating in hallway. Hallways tend to be dark and claustrophobic. Often they are long and narrow with no windows. This is one place in your home that can be a challenge to decorate. However, there’s good news. Give your hallway a complete makeover for maximum visual effect and beauty. Colour is the most important factor in creating a comfortable and inviting hallway. Choose light colours to make the hallway look larger. Depending on your choice of flooring, blue, green, earth tones and pastel shades are the wisest choices. Use eggshell or white for walls and paint doors and woodwork a warm, rich complimenting colour, such as almond or peach. Add architectural interest with the use of decorative mouldings. Crown mouldings can be used to eliminate the sharp angle between the ceiling and walls. Install a wooden chair railing along the length of one wall or add wide baseboards along the bottom of walls. If ceilings are high, beams or brackets can be added. Never add these to hallways with low ceilings, as it will give the sense of the ceiling closing in on you. Divide hallway space by adding paintings, photography or other objects that hang flush with the wall. Have family portraits developed in black and white and hang them in bronze coloured frames to create richness. Never hang items in a straight line; stagger them or create a cluster. Hanging framed prints in a straight line will make the already narrow hall look much narrower. Create a focal point at the end of the hallway. 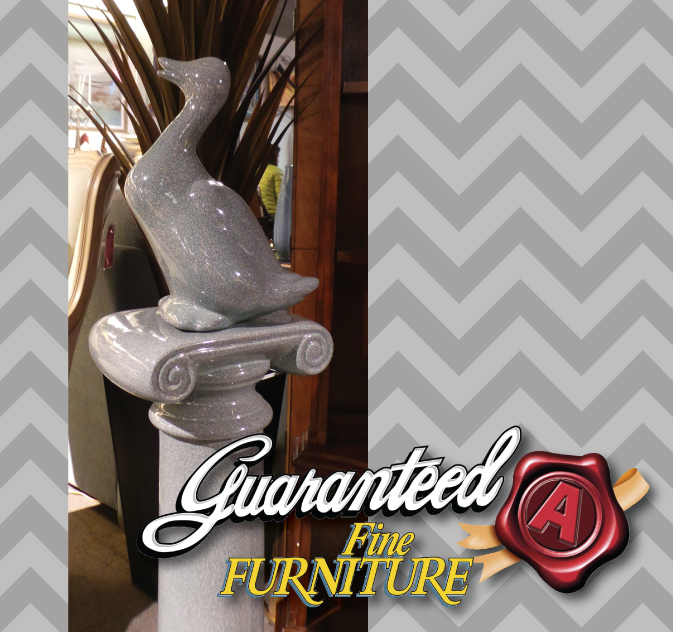 This can be a complimentary statue for an elegant look, or an indoor fountain with a lush plant sitting nearby. Another option is an antique bookcase or cupboard with a glass front. Hang a mirror above it that will reflect the hall and make it look larger. Flooring affects the mood of your hallway. If you’re going to be installing new flooring, consider a warm, wood grain laminate, which will create a sense of warmth. If you wish, contrasting rug runner can be added to give contrast, or use an Oriental rug runner in pastel shades. Lighting is second in importance only to colour. Since your hallway is straight and has few furnishing or obstacles, use light that gives off a glowing, misty light to create ambience. Wall scone lighting, graceful wrought iron candelabra or a crystal chandelier that hangs close to the ceiling is perfect for this area of your home. If your hallway is wide enough, consider adding an bookcase, washstand, accent table and mirror, umbrella stand or fancy coat rack. Furnishings add visual effect and give the area a homier look while creating warmth. If you use the furnishings above, add floral arrangements, antique pitchers and bowls, books, unique umbrellas or hats for accent. Set a basket of natural, dried flowers, pinecones and ornamental grasses in a corner of the hall. Lovely baskets of natural flowers and grasses add a touch of nature and give the effect of earthy fun. There are so many ways to add visual effect to your hallway that will transform it into a place of elegance and beauty. Use your imagination, have fun and enjoy the new look that will add, warmth, appeal, elegance and beauty to your home. Well, I hope you are loving our home styling tips. We would love your feedback or any questions that you may have on decorating. Drop me a line on Facebook or Twitter with your suggestions. The Dinning Room is a perfect place for the family gatherings. In an earlier era, furnishing the dining room often meant grouping together a couple of chairs and perhaps a table that had seen better days. Then came the age of formal dining rooms, with ornate furnishings, huge tables and plush chairs. Those formal dining rooms were often reserved for special occasions, and families might find themselves dining in the eat-in kitchen instead. Modern home design seeks to strike a balance between those two extremes. Many newer homes feature large, expansive kitchens, complete with dining nooks and spaces for relaxing and hanging out as a family. Those homes generally also include a more traditional dining room, perfect for both large gatherings and family meals. 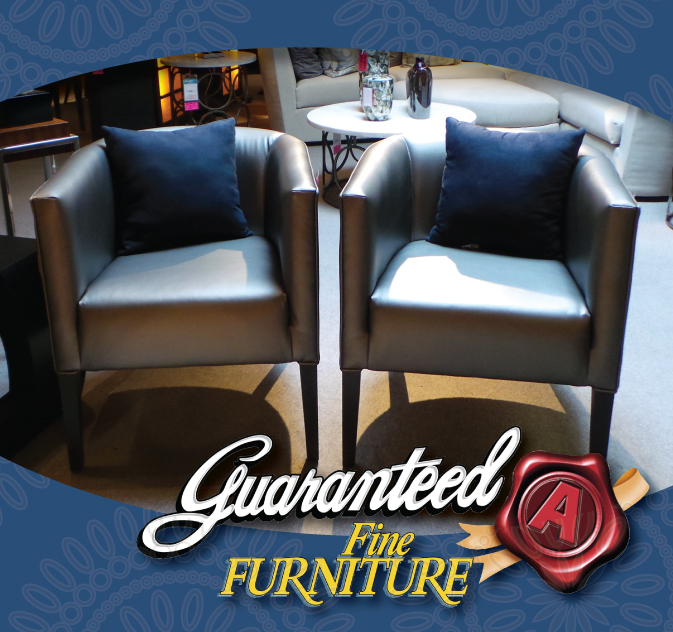 Round or Square add some modern touches like these accent chairs to freshen up your table. Choosing the right furnishings for those special spaces is not as easy as it might appear. Dining room furniture needs to be comfortable and durable, but that does not mean it cannot be stylish and modern as well. 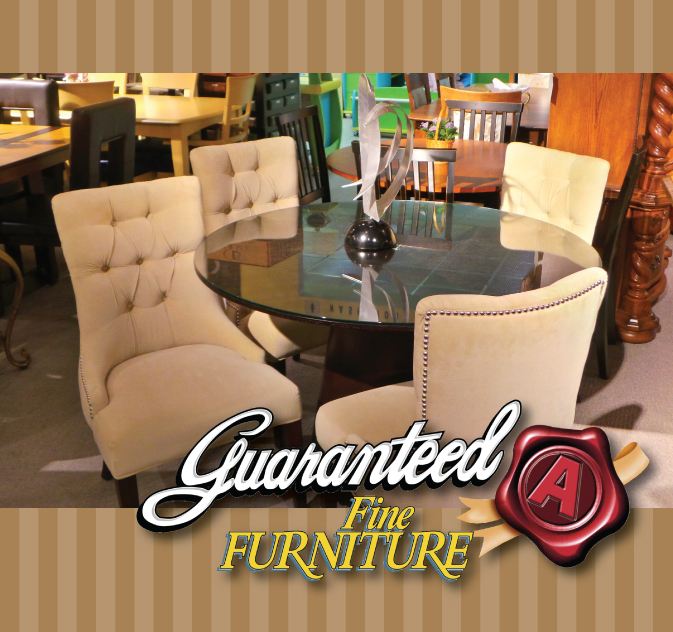 In fact, some of the most popular choices in dining room furniture today have a distinctively modern look and feel. 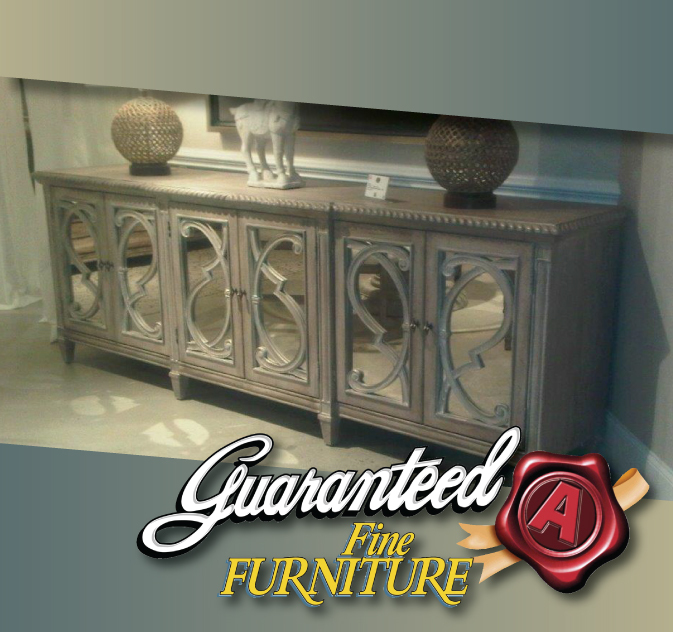 Sideboards can add flare to the room but they are also practical place to store your special dishes or silver. From sleek metal framed chairs to glass topped tables, there are plenty of ways to give your dining area a modern look and feel. These modern touches are quite at home in the modern dining room – they make the perfect counterpoint to the sleek modern kitchen that is so popular these days. 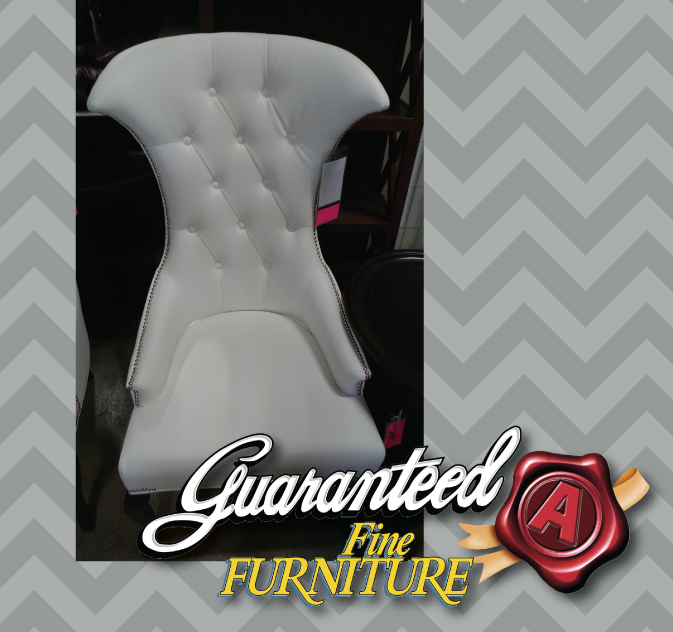 This Dinning Chair makes a real statement in any Dinning Room. 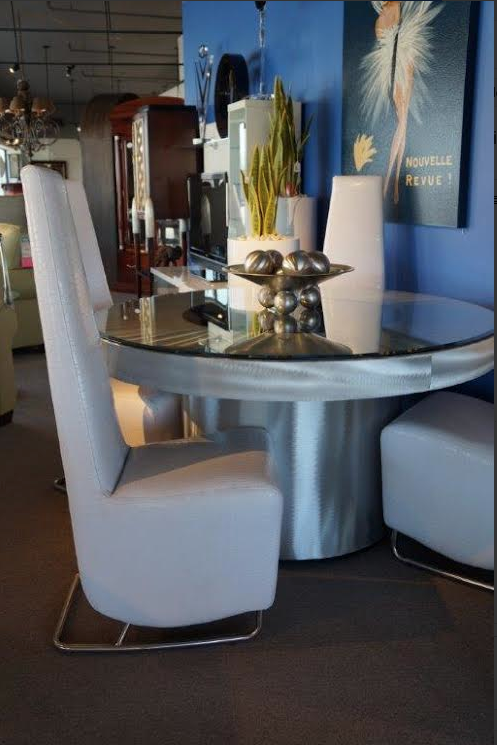 Elegant, modern and unique for the perfect dinning room table. Many modern kitchen and dining rooms are designed to serve multiple purposes. While the most important function is still cooking and serving family meals, these rooms can do so much more. A small nook set off in the corner of a large dining room might serve as a study area, or a place for the family to check emails and go online. Another section of the dining room could host a kiddie table at family feasts, and provide the younger kids with a great place to study after school. A comfortable chair can provide the perfect place for the family chef to relax and unwind while waiting for dinner to be ready. No matter what type of home you live in, the dining room serves an important function. Whether you enjoy formal cuisine dining every night or prefer the simplicity of a ready to serve meal, sitting around the dining room table gives the family a chance to relax, unwind and share stories about the day. When decorating such an important room, you want to choose furnishings that make your family and guests feel right at home. 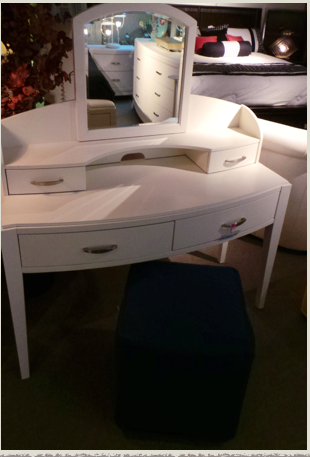 Modern furniture with a bold yet classic design is the perfect choice. These pieces are designed to be modern yet timeless – giving your dining area a truly beautiful look and feel. Modern dining room furniture is the perfect choice for the dining room, and the perfect accent for the stainless steel appliances in the kitchen. A modern design can provide the kind of timeless appeal that you and your family will appreciate year after year. With so many TV shows and magazines focusing on home fashion trends, almost everyone has some degree of interest in decorating and design. Whether you are updating your kitchen or sprucing up your living room, there are some questions you should ask yourself before you get started. Once you get started, you’ll discover quite a few variables in home décor. However, one thing is certain: Budget will dictate the extent of what you can do. Ripping cabinets and flooring out of the kitchen will cost substantially more than painting the existing cabinets and adding some throw rugs. Determine your budget before you get started so you at least have some idea of what you have to work with. Do you need a more open space that involves knocking down a wall or two? Or is it more important to replace the appliances that are on their last legs? Perhaps the sofa is threadbare and needs to be replaced. Determine the importance of all the tasks you want to tackle and list them in order. 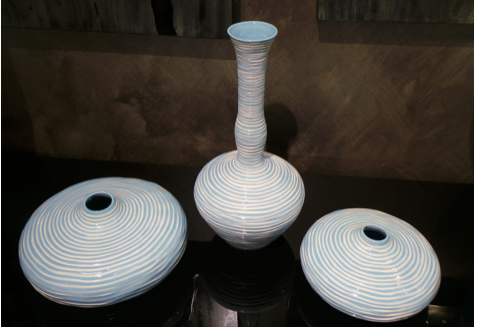 Accent pieces are a great way to bring together the colours of your room. 3. Do you want to do it yourself or work with a professional? If you don’t trust your personal taste in decorating and worry that you’ll make a costly mistake, consider hiring an interior decorator or deal with experience furniture experts. Ask what he or she charges. Remember that industry professionals often get discounts on goods and services, so you may save money on the back end. Chances are, you’ll save time too, so if you’re in a hurry to finish the project, this might be your best bet. Always have a signed contract before you even get started. There are some things you can easily do yourself, so it might be silly to hire a professional. For example, changing out the pictures on the walls, adding pillows to your sofa, and even painting furniture for a fresher, more updated look can be done as a weekend project. However, when you start eyeing electrical, plumbing, or structural changes, unless you have experience, you’re better off calling a professional. Make sure anyone you hire has a license and references, and don’t be afraid to check on them. Quality Sofas will last for years. 4. How much should you pay for furniture? 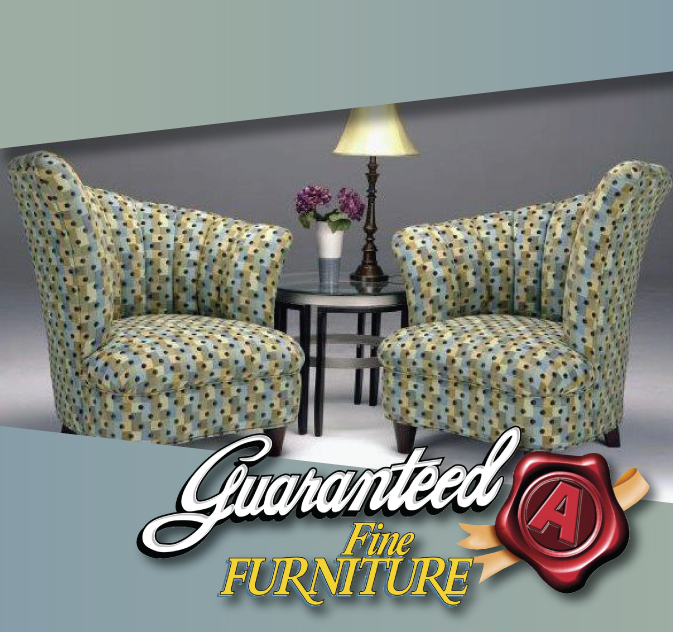 Most experts recommend purchasing the best quality furniture you can afford. 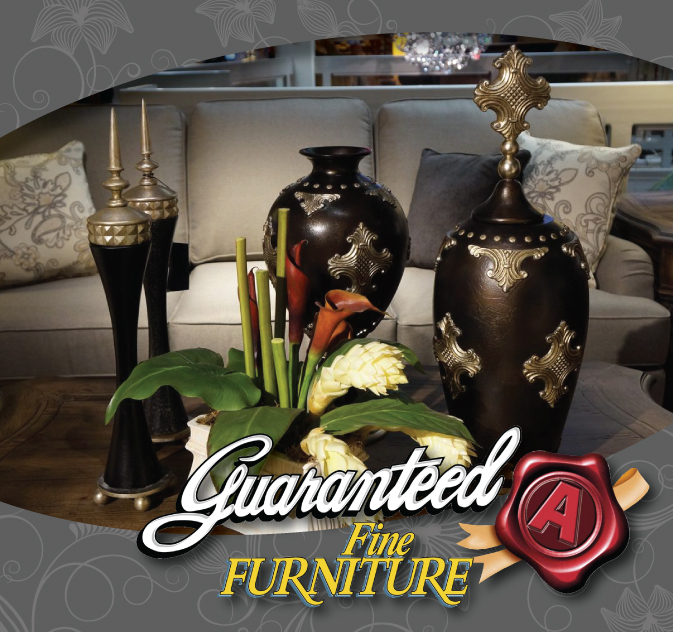 Look for a company that offers a guarantee. If you have a tight budget, watch for sales. Don’t think you have to purchase everything all at once. You can start with a few main pieces and add more as your budget allows. Carefully choose where you spend your money. 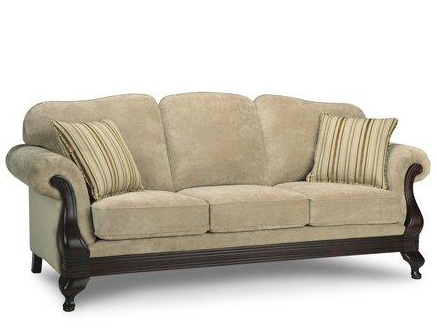 Anything that bears weight, such as a sofa or chair, should be extremely well built. 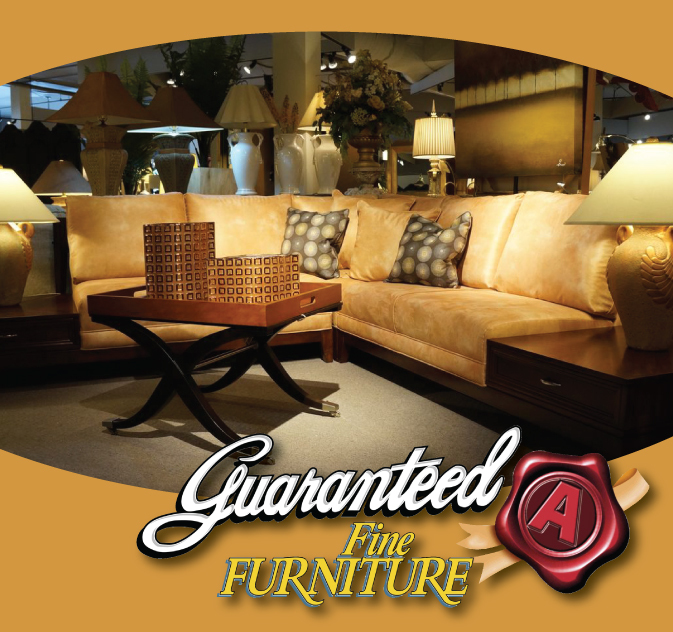 If you plan to keep the item for many years, look for the highest quality you can afford. Don’t spend as much on items that are on-trend and will probably be replaced in a year or two. Neutral Foundation Pieces anchor a room like this neutral sofa. 5. What colours should you use? Starting with a neutral foundation and working out from there can make your decorating task much less daunting. If you have a sofa in any shade of brown, black, navy, gray, taupe, or beige, you can accent with whatever colours you are in the mood for each season. There is no reason to feel that you must stick with one tone of wood; it’s perfectly fine to mix and match light, dark, and medium shades for a more personalized look. 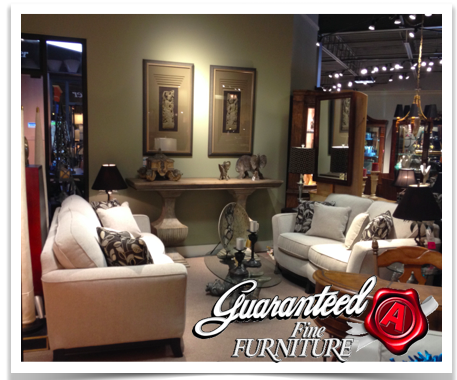 Drop by and see one of our knowledgable staff who will help you pick out your new decor or furniture pieces. We are located 4735 Tecumseh Rd. E., in Windsor. Don’t forget to bring your room measurements. The coffee table is the source of many headaches for any would-be home decorator. It needs to be attractive and functional at the same time. Overdo the attractive part and it won’t look or function as a coffee table. Do too little and it’ll sit in a corner, ignored and gathering dust. The composition of a coffee table, or what’s actually on it, is what drives a lot of people up the wall. A good rule of thumb to follow is to make sure that whatever you put on it should follow a theme. That theme is up to you. It could be a style that you like, or even just a colour. What is important is that they go together. You should keep in mind the size of each item. Too big and the coffee table is useless for anything else. Too small and people won’t notice it and it won’t affect the visual appeal of the table. • Mix up your items in terms of looks and design. Pair straight items with curved ones, or shiny ones with items that have a matte surface. Whatever contrasts you decide to go with, make sure that they still fit the theme that you want for your coffee table. 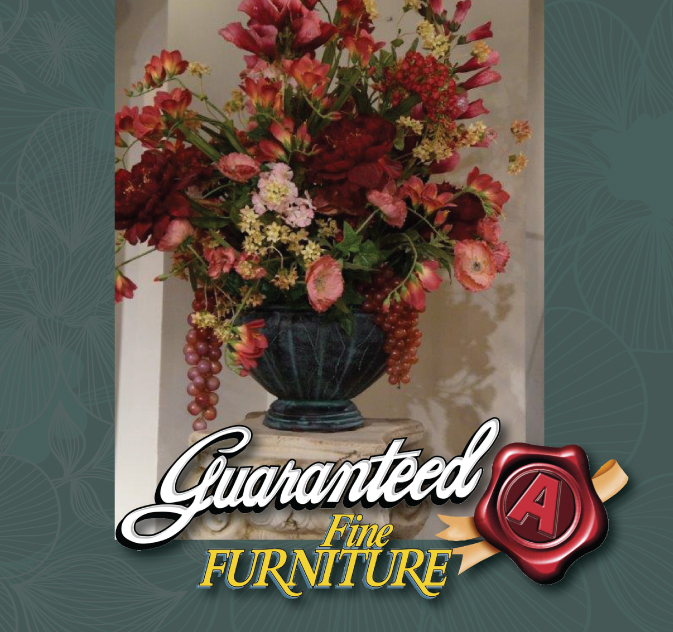 • If you really don’t know what to put on your coffee table, you can’t go wrong with a bowl of flowers. You can use it as a centrepiece, or to offset a stack of books. • A small tray might serve your coffee table well if you decided to add pencils and paper to it. It can help keep things organized. If you’re feeling practical you can also use that tray to store keys and various remotes. • If you have a small but interesting item lying around and you don’t know where to put it, why not put it on your coffee table? It can serve as both a centrepiece and a conversation starter. • Seasonal items such as pine cones and seashells can also work if you’re the type of person who gets rid of one setup or look quickly. • If there is anything you shouldn’t put on your coffee table, it is items that must be viewed at a specific angle. Picture frames, for example, give you a choice between facing it outward, making it useless to people sitting at the table, or sitting inward, which makes the table look closed off. • If you’re having trouble picking a theme, consider the rest of the room. If the rest of the room has a colour scheme or a style, consider using that as a launching point for deciding what to put on the table. A successful home décor effort requires you to balance function and style. If you’re not sure if you crowded the table, chances are that you’ve put too much on it. 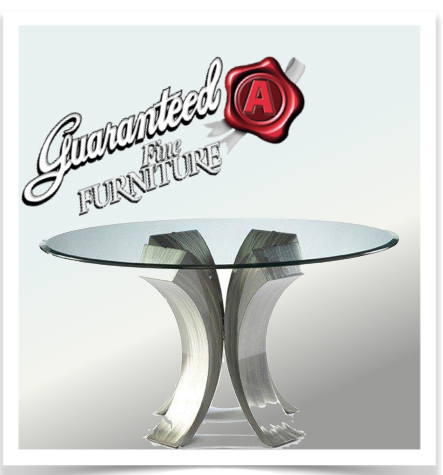 Just keep the function of the coffee table in mind and you should have a good looking and workable one in no time. 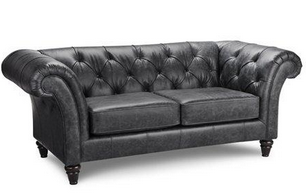 Home Happenings: Quality Sofas for Small Spaces. Getting the best use of space out of relatively small areas is all about furniture arrangement. And using a sectional sofa can anchor your space and make your living area look larger. 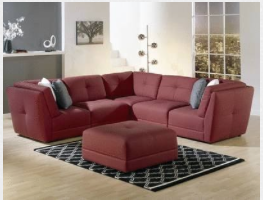 Whether you are furnishing a new home or simply redecorating, sectional sofas are timeless and popular furniture choices that can add character to a room. In addition, they can do a lot to reshape or divide a room. But for best results, you should choose a sectional piece with care to ensure the proper fit and also to reflect your personal design style. Why Use a Sectional Sofa? It seems counterintuitive to use a rather large piece of furniture in a small space, but designers use sectionals effectively in both large and small areas. 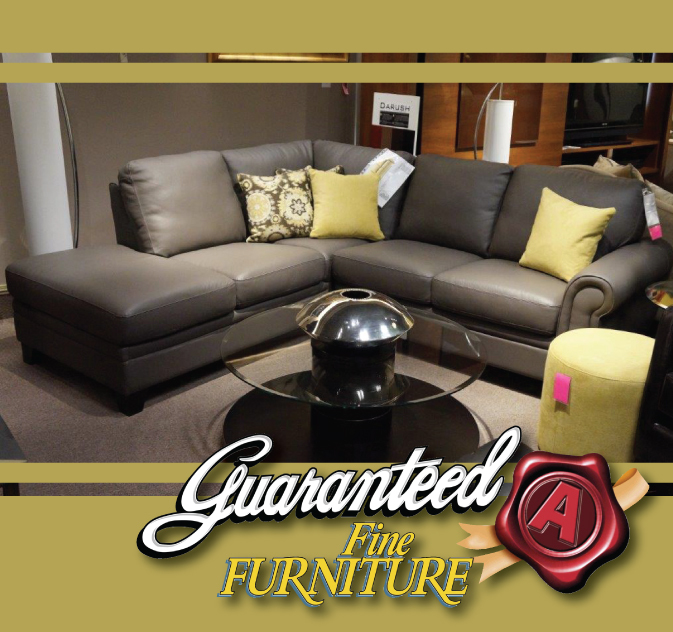 Sectionals, like other types of furniture, come in different sizes. 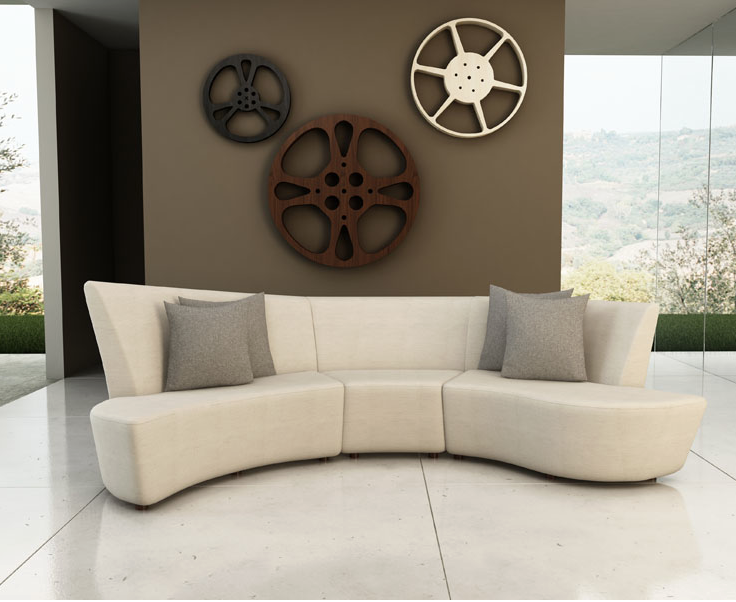 You can get very bulky pieces to divide spaces or you can choose minimalist pieces for smaller areas. Room size and architectural layout are the biggest things to take into consideration when deciding what style of sectional to purchase. For example, a larger sectional can be placed in an open floor plan that combines living room and dining room. Or in contrast, a more modern, compact design would be better suited for small, partitioned rooms. Another advantage to using sectional sofas is that many designs can be arranged in a variety of ways. For example, you could go with the standard L-shape, or you could opt to add pieces to form a U-shape or a J-shaped design depending on the available space and shape of your room. First, take a cloth measuring tape to the showroom floor and measure width and length of your furnishings. Buy a newspaper on your way home. Lay out the newspaper sections on your floor to the specified measurements. Position your coffee table in front of the newspaper and any end tables or accent furniture that will go in the room. Don’t forget to measure the door that your sectional will have to go through, as well. Small spaces can be hard to furnish, but sectionals offer a solution that creates a comfortable atmosphere and an inviting seating arrangement. 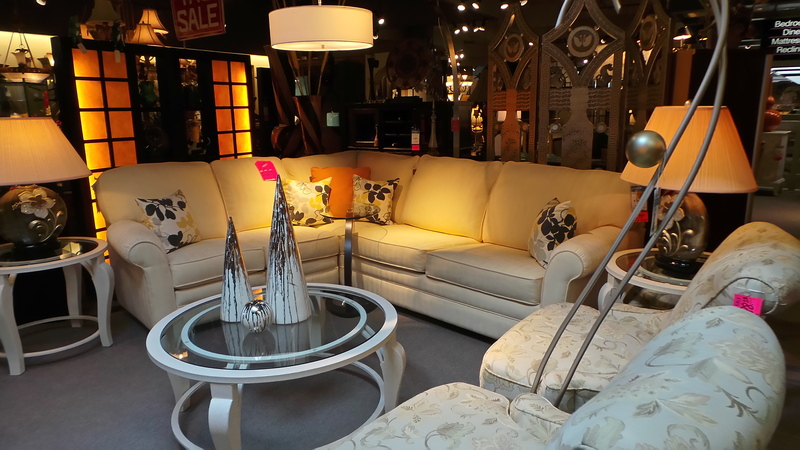 And with the different styles and sizes available, sectionals can fit nicely into almost any living space. 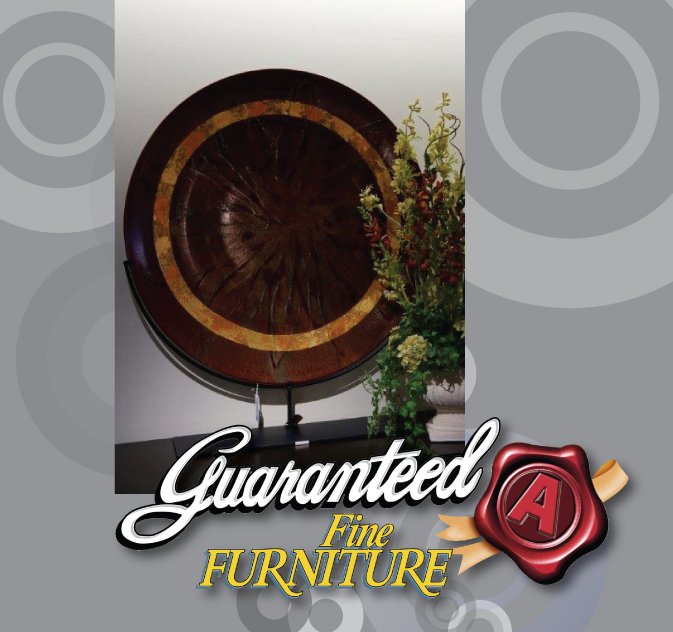 Home Happenings: 4 Tips on How To Choose A Quality Area Rug From Guaranteed A Fine Furniture.
. The materials – Where your rug will be placed is a huge factor in what material you should look for. If you plan on putting your area rug in a space that experiences a lot of foot traffic, you’ll want something that is more durable. Materials that will last a long time include high quality wool, which not only wears well but will also look better as it ages, and silk. Even neutral coloured area rugs can adds life to a room.
. 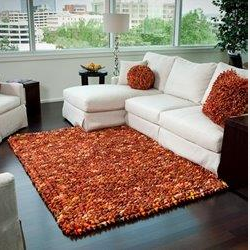 The size of the rug – Size is a huge factor in how well your rug will work in any given room. If its too big, it will swallow up the entire space, whereas if it’s too small, it will look like it was left there by accident. The size of the rug will depend on where and how you use it. Rugs in the dining room should be large enough to accommodate the dining room table as well as the chairs. You won’t want the back legs of your chairs to fall off of the rug. If you need a rug for the hallway, measure it so that none of the furniture in the hallway will rest on it. If you are placing it in the living room, just make sure your coffee table will fit on it properly. Area rugs are the perfect accessory to any room.
. The cost of the rug – Obviously, if you have a small budget, then you’ll be somewhat limited to how much you can spend on an area rug. However, this doesn’t mean that if budget is no factor that you should splurge on the most expensive area rug that you can find. A rug that is cheaper than all the furniture in your room is going to look out of place, but so is a rug that is more expensive than all the furniture in your room. A good indicator of how much you should pay for your rug is how much you paid for your couch.
. The style of the rug – There are tons of styles to choose from, and much of it will depend on your taste as well as the rest of your décor. Generally, neutral styled area rugs work best in contemporary or modern style rooms. Rugs with floral or striped designs work well for a more casual look. 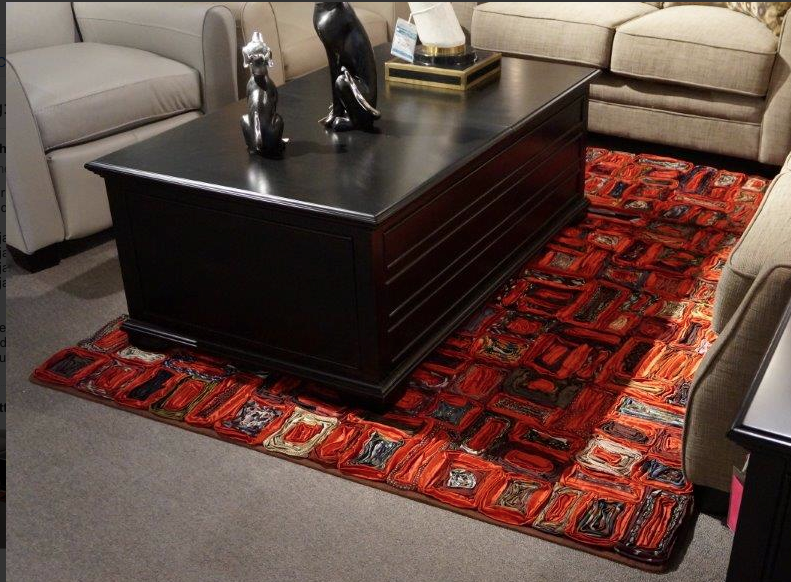 Oriental style rugs work better in more traditional style rooms. An area rug can be a great addition to your interior design, as long as you pick up the right area rug for the space you need it in. Use these four tips to help determine what kind of area rug you need. A kitchen that is decorated with contemporary style is not cold and unwelcoming. On the contrary, it can be quite warm and very inviting. The look is minimalist, but it does not have to be sterile and unappealing like a garage or an unfinished loft. Learn new ideas for decorating a kitchen with contemporary style, and add one-of-a-kind furnishings, storage solutions and more. When seeking ideas for decorating a kitchen with contemporary style, begin with new furnishings. 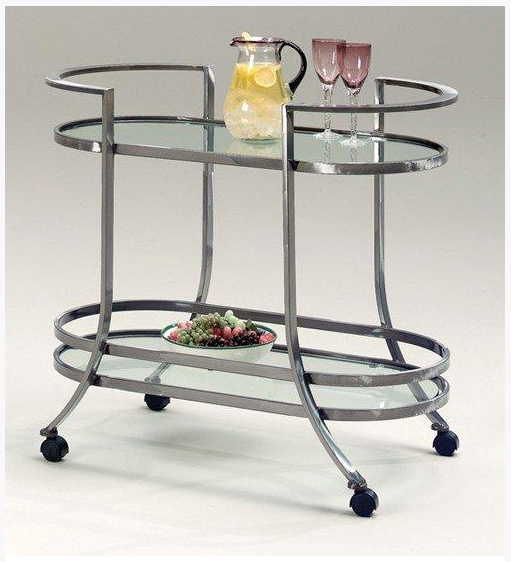 Consider a table and chair set designed from stainless or chrome metal. It will provide function as well as form, and it will add visual interest and amazing appeal. Select a set with punched designs to add more style and visual flair. Punched and grinded metal adds a touch of design without going outside of the boundaries of true contemporary style. 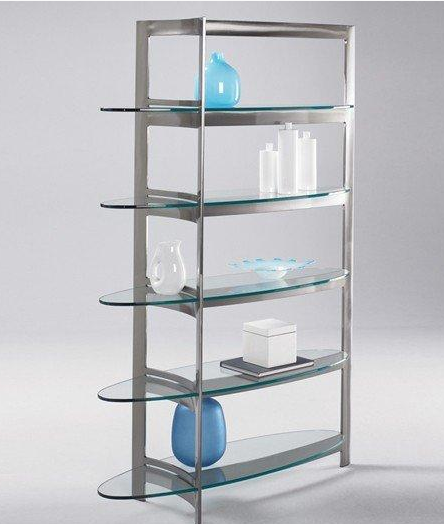 You can also seek out metallic top finishes, or glass with metal. Your options are limitless. A kitchen with contemporary style does not have to be void of colour. However, it should not be splashed with every colour of the rainbow. Consider adding a little colour with live plants. Select one blooming plant in a colour of your choice, and use it as the focal piece when decorating a countertop or the dining table. Since it will be one of very few items of colour in the kitchen, all eyes will be drawn toward it. In accordance with true contemporary style, consider planting a blooming flower in a plain metal container with a plain matte finish. A small brushed metal or chrome bucket without added embellishments is ideal when it lined with stone to provide adequate drainage. When decorating and furnishing a kitchen with contemporary style, search for a set of old metal lockers and metal shelf units with metal drawers. The sleeker the lockers are, the better they will mesh with the style of the kitchen. They should look as if they came from a factory locker room, and it does not matter if the paint is stressed. This adds to the patina as well as the decorating style of the kitchen. They can be used to hold everything from canned goods to notepads. Use metal shelf units with drawers for additional kitchen storage space. Besides decorating the kitchen with contemporary style, both of these solutions will provide a lot of extra storage space. Add some flare to your kitchen with a chrome rolling bar! These are just some of the many ways to begin decorating a kitchen with contemporary style. 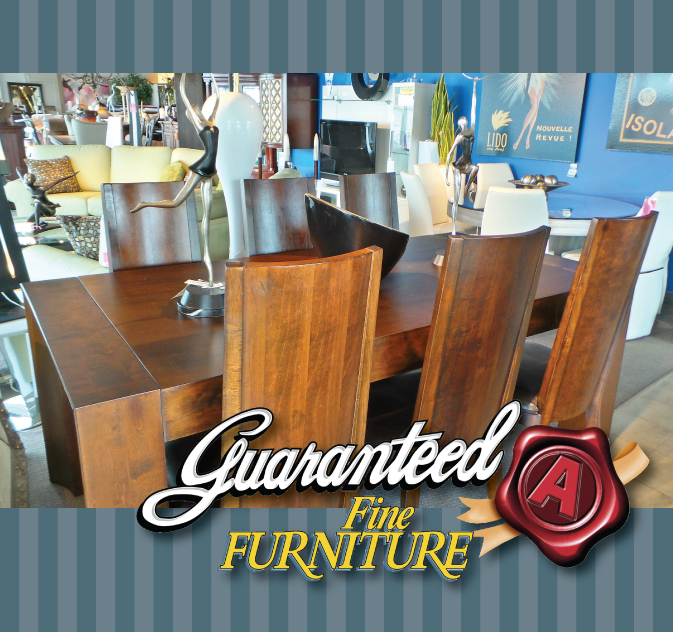 Drop by our store, Guaranteed A Fine Furniture at 4735 Tecumseh Road. East Windsor, Ontario and we will help you pick your contemporary kitchen décor and accessories. 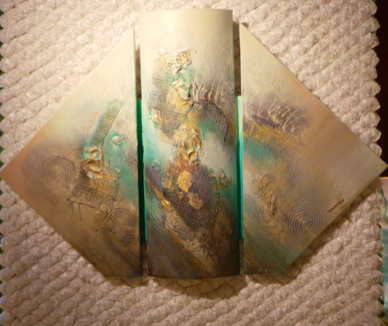 In addition to the above, we have amazing wall art and table accessories. 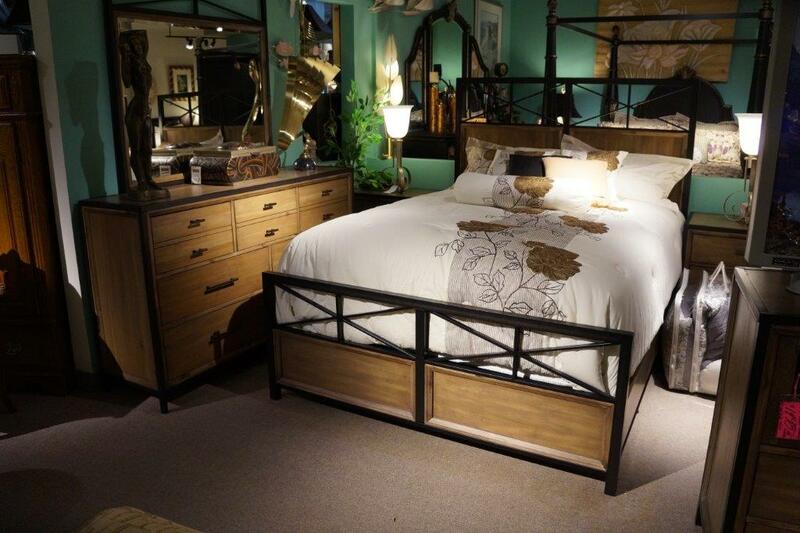 Perhaps more than any other room in the house, the furniture you choose for the bedroom can really set the right tone. That is why it is so important to choose pieces that are beautiful, timeless and of the highest quality. No matter what type of home you have, the bedroom lends itself well to a more modern style. There are many wonderful pieces of modern bedroom furniture that look at home in any setting – from a cozy guest bedroom to a spacious master suite. 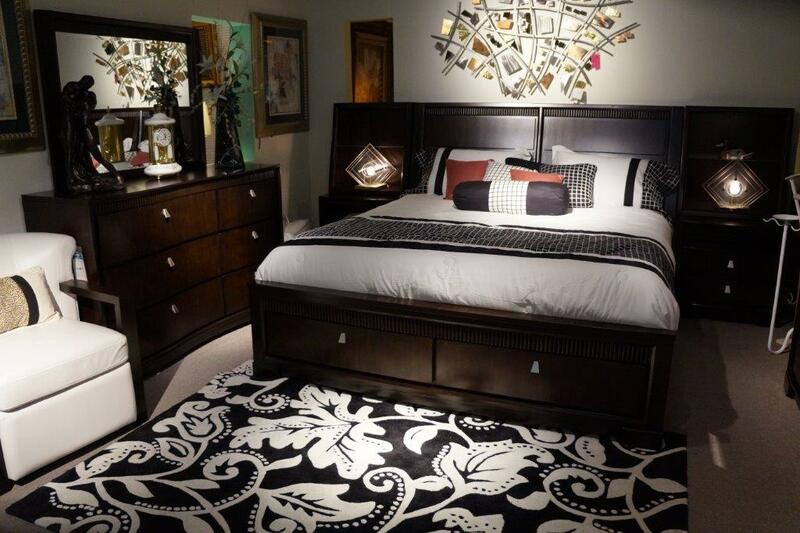 Finding the right furniture for the bedroom can be one of the most challenging parts of decorating your home. Whether you are decorating a brand new home or updating the style of an existing one, the bedroom is perhaps the most critical part of the process. You want to choose pieces that have a modern feel, but also a classic and timeless look. Going with the latest trend may make you happy for a few years, but those trendy pieces can quickly start to show their age. 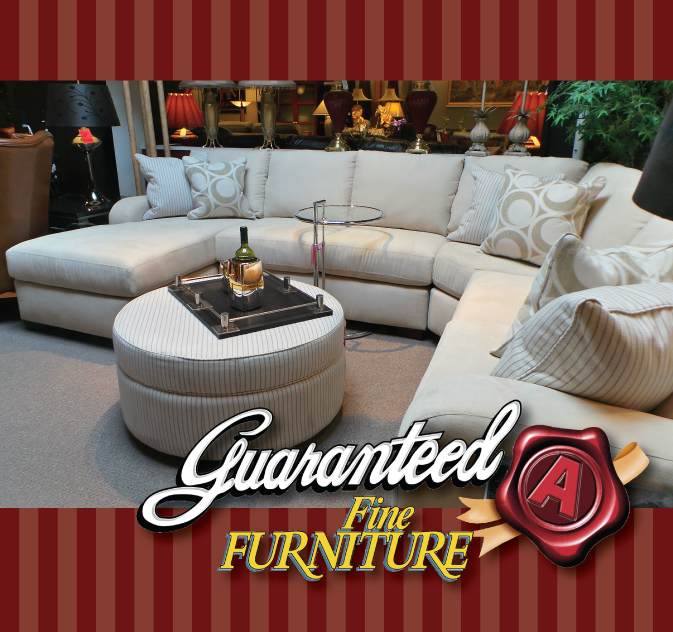 Choosing modern furniture with a timeless style will give you the best value in the long run. It’s important that the suite you pick fits the space that it is going into. One of the smartest things you can do when decorating the bedroom is carefully measure the space you have available. Many homeowners fail to take this first step, only to end up with furnishings that are too large or too small for the room. Measuring the room ahead of time allows you to model the finished room – you can experiment with various furniture placements before actually putting those pieces in the room. Once you know how much space you have available, you can start to look at various furnishings and accessories. 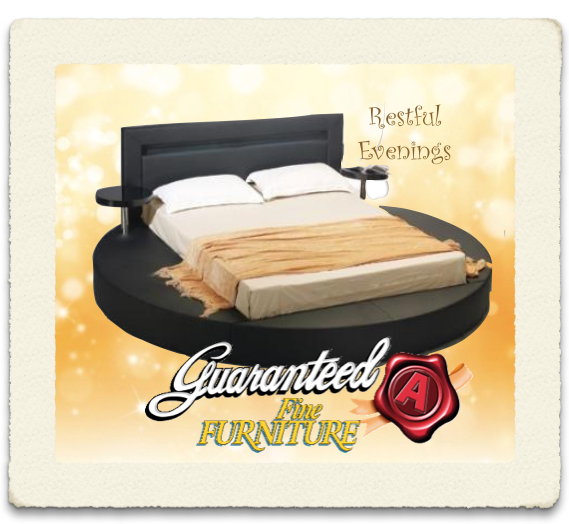 The bed will obviously be the centrepiece of the room, and choosing the right style is essential. A quality North American-made bed in a modern yet timeless style can serve as an anchor to the remaining pieces of furniture. That modern style can then carry over into the other pieces you choose – from the dressing table and side chairs to accessories like mirrors and decorative panels. Wrought and Wood is a classic combination. 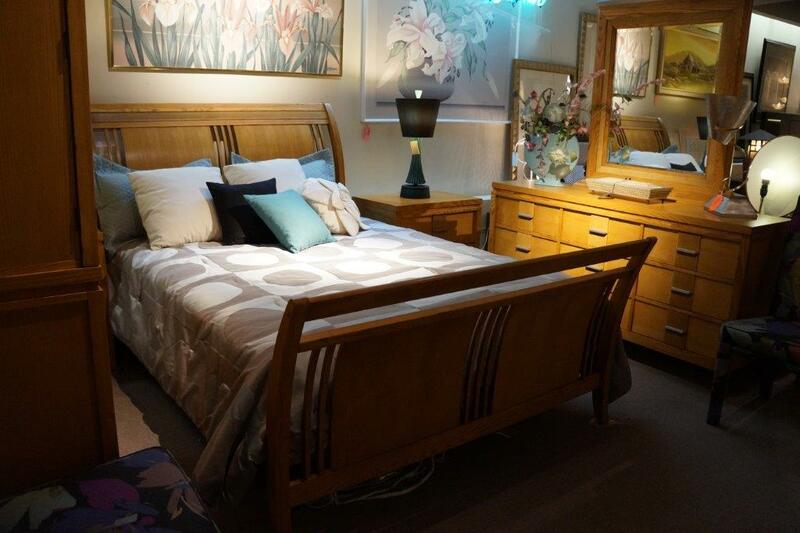 A carefully chosen set of modern North American bedroom furniture is no small investment, and it is important to protect your purchase properly. You can start by reading the care instructions that come with each piece and following them precisely. Some types of wood and styles of finish require special care, so you may need to clean them differently than you did with your old bedroom furniture. 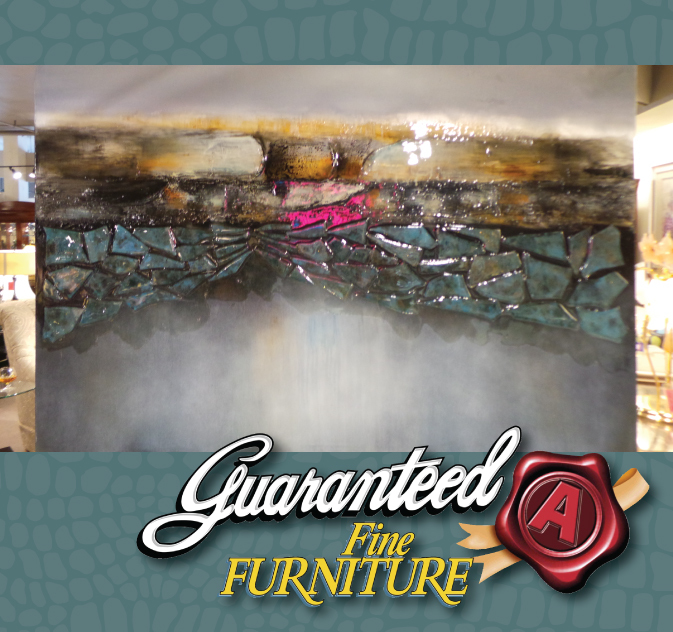 Caring for the finish properly is the best way to make those pieces last and look great years from now. Making that care a normal part of your cleaning routine is the best way to keep those modern North American furnishings looking their best. Frequent light cleanings can be much more effective, and much less damaging, than occasional deep cleaning. Bedroom furniture is an investment that should last for years – and you need to treat your precious investment with care. Drop by today! 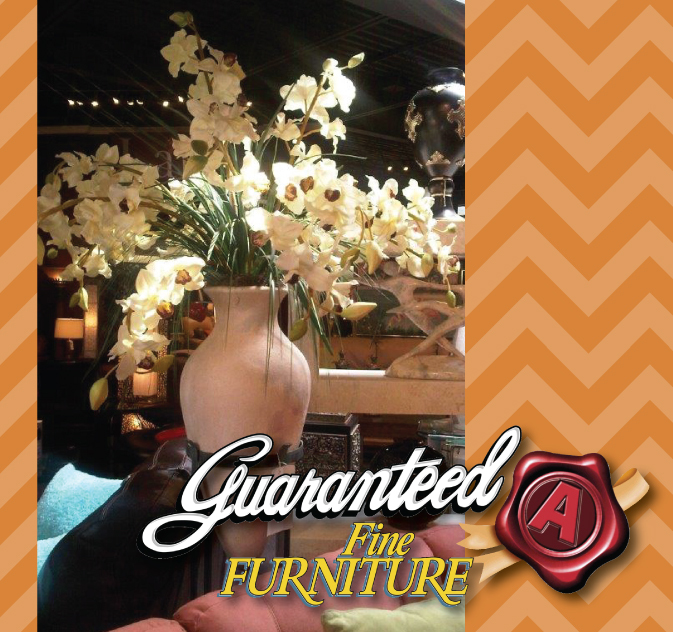 Guaranteed A Fine Furniture is located at 4735 Tecumseh Road. 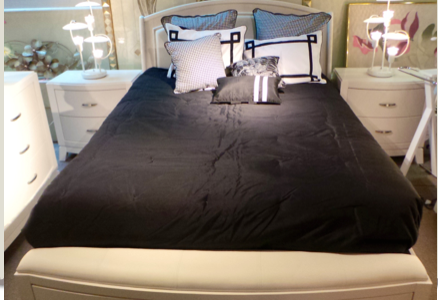 East Windsor, Ontario and let us show you how to create the perfect bedroom for you. Have a great day. Richard. 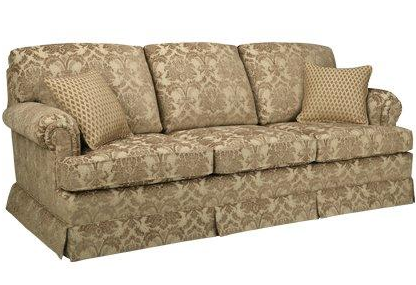 A new sofa can refresh the look and feel of an entire room without requiring an exorbitant investment of time or money. Whether your goal is to make a room more attractive and stylish or simply to ensure that you are comfortable while relaxing at home, a new sofa can get the job done. That is not to say, however, that the same sofa will work in every situation. Keeping these principles in mind while shopping for a new sofa can help ensure that you are pleased with your purchase. 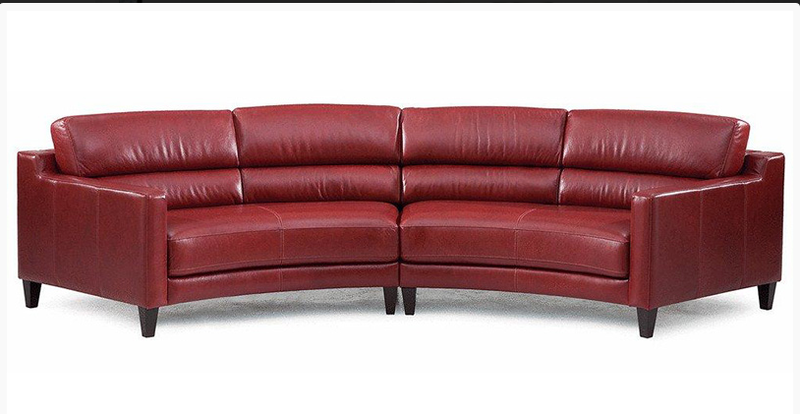 Sofas today are available in a wide variety of different styles, designs, colours and materials. Whether you prefer a traditional or a sectional sofa, you can find options to suit virtually any taste or decorating preference. Keep in mind the space you have available when choosing the style of your new couch; some styles can accentuate a limited amount of space, while others can make a large, open area feel more cozy. Of course, your new sofa’s brand will likely be the factor that has the biggest impact on the amount of money you spend. For that reason, your budget will likely limit to some degree the brands you consider. In many cases, of course, you do get what you pay for – a high-end (and therefore more expensive) brand is likely to last well, maintaining a sharp, pristine appearance even after years of wear. That is not to say, however, that all off-brand sofas are a waste of money. 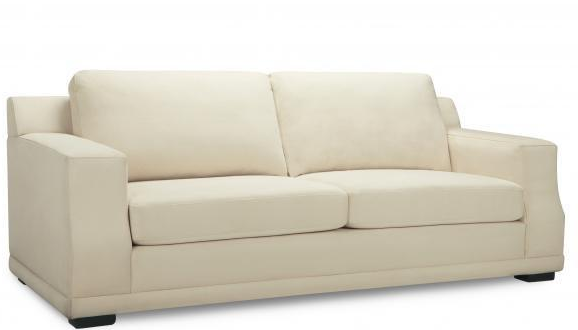 If you check online reviews from a brand’s prior owners, you will improve your odds of finding a sofa that is both affordable and high-quality. Although the frame of your new sofa may not be as noticeable as its style and shape and the material with which it is covered, the type of frame you choose can still have a significant impact on both the sofa’s appearance and its durability. Hardwood frames are a classic choice that is still beautiful and long-lasting. 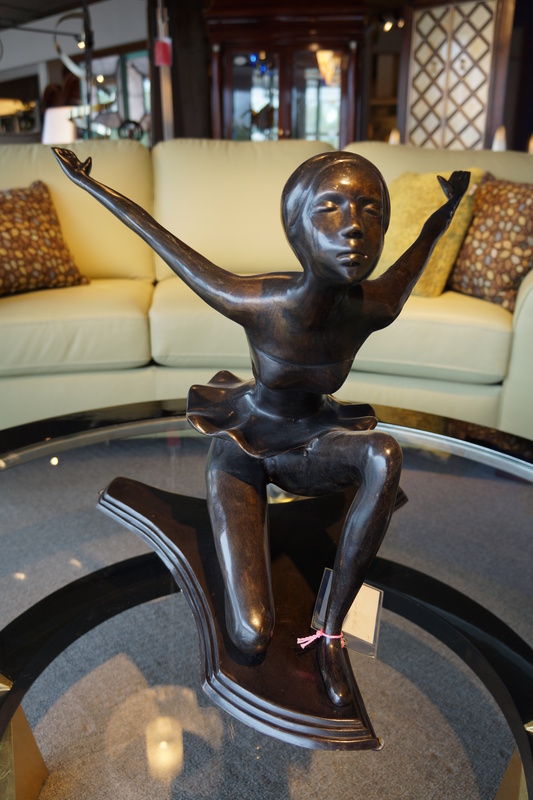 However, more modern materials, such as metal and fibreglass, are becoming quite popular as well – and they can be crafted into uniquely artistic furniture. Fibreboard and plastic frames, however, will generally only last for a relatively short period of time. Finally, you should also consider features of a sofa that might not be readily apparent at first glance. For example, you should try sitting and even lying on the sofa for a few minutes before you buy it to ensure that it is comfortable and that it suits your build. If you notice any protruding springs or awkward angles digging uncomfortably into your back, keep looking for a model you prefer. You should also try a variety of different fillings to decide which you prefer. You might be surprised just how many options you have when choosing a sofa filling; popular options include polyester fibre, goose down, various types of foam and feathers. Whichever you prefer, take your time to try it out thoroughly before buying. After all, no matter how great your new sofa looks, you will soon start to hate it if it is too uncomfortable to use. When we look at the rooms in our houses, what room is more special than the master bedroom? It is the place where we spend our most intimate time with the person we love—or at least we hope we are. 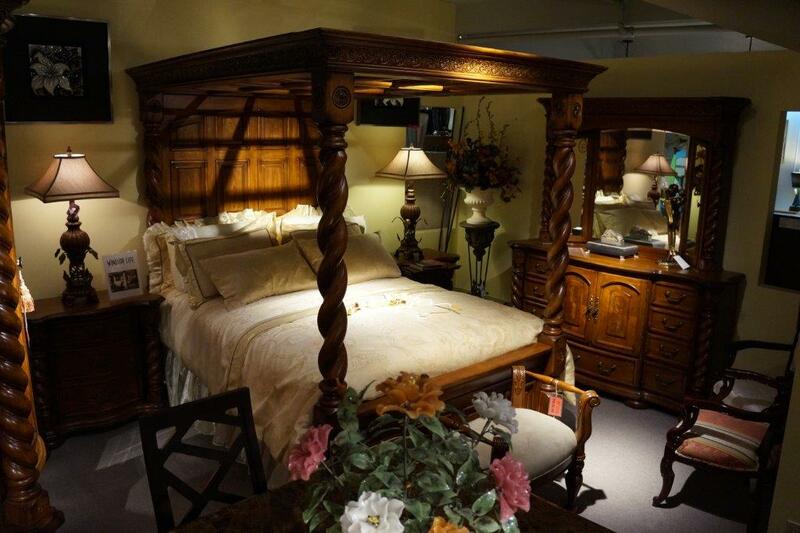 And after a long and exhausting day, we all want to rest in a bedroom that oozes calm and serenity. Today, we look at creating an oasis-style bedroom. Beds: I have already done a blog on how to pick the perfect mattress, and I am including the link here. But I’m talking headboards and footboards now. If you are looking to create an easy and breezy bedroom, you’ll want to pick a bedroom headboard and footboard that have some natural elements. The headboard may be covered in leather or soft fabric or a light-coloured wood such as bamboo. For the oasis look, you would want a minimalist style in which the lines are sleek and there is not a great deal of appliqué. Your bedding should be light-textured to keep the airiness in the room. You’ll want to layer your patterns. Go ahead and mix your stripes with florals, but be sure that they are in complementary hues. Or add a lace bedcover to your rustic-style bed, or use a bed ruffle instead of a bed skirt as an alternative that adds whimsy to the room. Have you tried bamboo bedsheets? They are fabulous, and there is no softer fabric. Walls: For an oasis bedroom, you are going to want to choose a paint colour in soft pastel tones such as sea-foam green, light beige, or even white. Or you are going to want to adopt a navy blue–and-white colour combination. Your wall decor should be beach-inspired in contrasting colours to the walls. 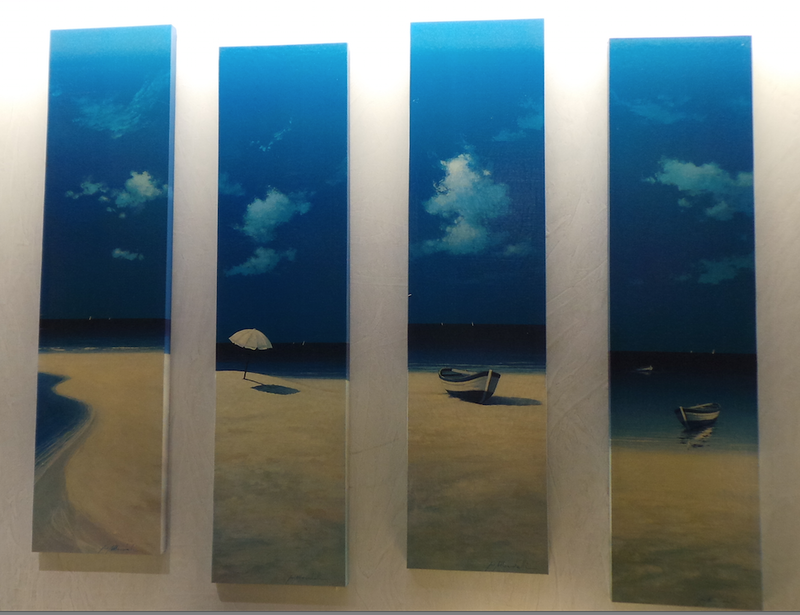 Artwork: I have taken some pictures of some of the artwork in our store that would add to an oasis bedroom. Floors: If you are going with a light-coloured wall, there is no reason why you can’t go with a darker-coloured floor. If you have hardwood, you may want to choose a deep espresso for contrast. If you have old floors and want to paint them, you can choose a navy blue if your walls are white or near-white to create that ocean feel. If you are a carpet fan, you can look at a darker rug. You are going to need to give the room some drama, and the floor is a great place to start. If you decided to go with the navy wall, you may want to stick with a light-coloured floor. 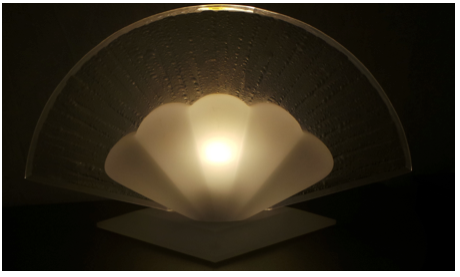 Lamps: Lighting is everything in a bedroom. 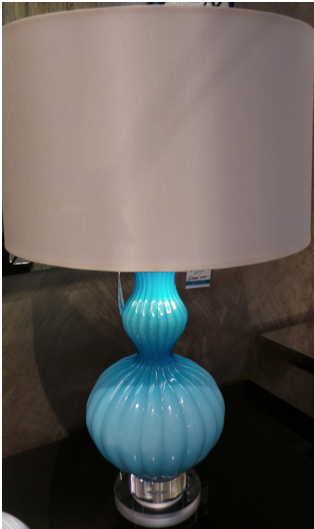 In keeping with the minimalist theme, I would suggest lamps that have either clear or light colured glass or brushed nickel bases. Little details: You’ll want to pick those pieces that add detail and charm to the room but are still inspired by nature, such as filling candleholders with decorative sand, shells, or leaves. 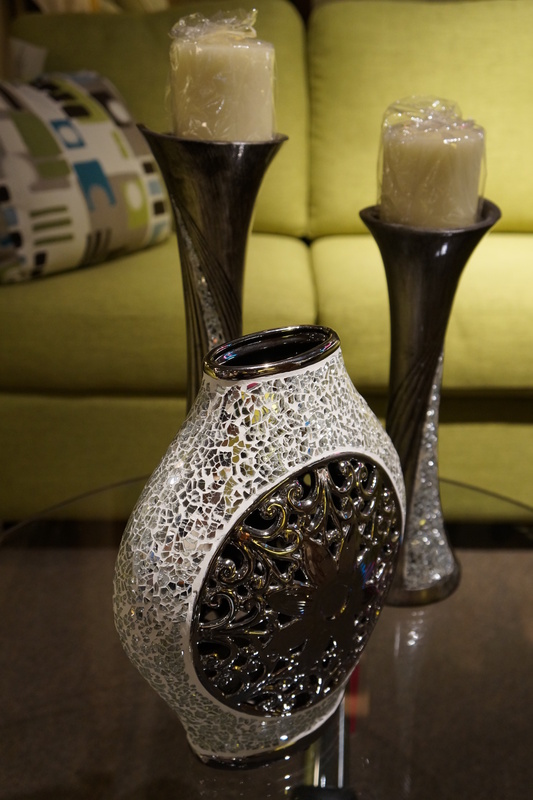 Accessories can really add to the overall ambience of a room. Don’t forget to add small vases, marine-inspired figurines, and flowers!